Stats: Natalie Achonwa’s 2018 campaign was easily her best in the WNBA, sporting career-best averages of 10.3 points and 6.9 rebounds per game. 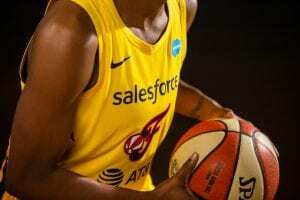 Entering her fourth pro season with a previous career-high of nine rebounds, she torched that figure in 2018 with six double-doubles and high rebounding figures of 10, 11, 12, 13, 14 and 15 – and 11 total games with at least nine rebounds. She became just the fourth player in franchise history with six or more double-doubles in a season and she just missed four more by just one rebound. 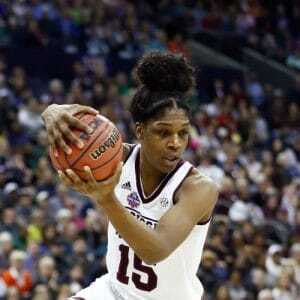 May 20 at Washington: In a sign of things to come, Achonwa posted the first double-double of her career with 21 points and 12 rebounds in the season’s second game at Washington. She shot 7-of-11 from the floor and helped Indiana to its largest rebound margin in two seasons. July 12 vs. Las Vegas: Achonwa’s best game statistically was a 26-point, 15-rebound effort in an overtime loss to the Aces. 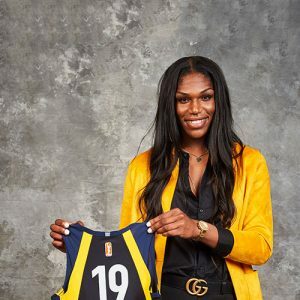 In what was the best output of her career, she had a 10-point, 11-rebound double-double by halftime, and added 12 points in the third quarter to help set up a Fever rally to send the game to overtime. June 24 vs. Connecticut: Achonwa was perfect on seven shots from the field, recording the most shots without a miss by an Indiana player since 2012. Indiana lost 87-78, but not without Achonwa raising both her averages with 16 points and seven boards. July 20 at Los Angeles: In a big road win at Los Angeles, Achonwa posted 15 points and nine rebounds. She helped cap a 10-3 second-quarter run that helped Indiana erase an early nine-point deficit and stay in the lead for good. August 18 and 19 vs Chicago: Indiana’s final weekend produced a double-overtime thriller and an exciting second-half comeback victory – with Achonwa in the thick of both. Playing 45 of 50 minutes in a Saturday night loss at Bankers Life Fieldhouse, Achonwa put together her sixth double-double of the season with 21 points and 11 rebounds. 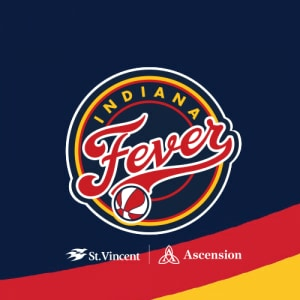 Barely 24 hours later in Chicago, she scored 11 points with nine boards as the Fever overcame a halftime deficit and ran away with their sixth victory.